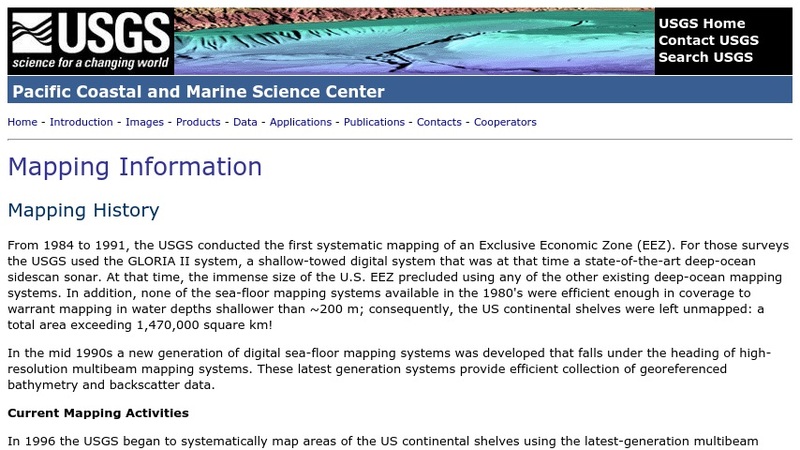 From 1984 to 1991, the USGS conducted the first systematic mapping of an Exclusive Economic Zone on the sea floor of the Continental Shelf. Materials presented here detail the history of these activities and describe how evolving technology has allowed faster, more economical, and more efficient seafloor mapping. Topics include mapping history, current activities, and a discussion of high-resolution multibeam mapping technology.